Hiya guys! So December is tomorrow which means the Start of Blogmas!! I'm excited to be doing it this year. I actually had to google ideas for it because it had no idea what to do but I have many many ideas now on what content I'll be posting. I think I'm going to alternate between blog posts and Instagram posts because some of my ideas just isn't enough for a whole blog post but I think majority will be on my blog. So I shall be posting everyday (or trying to) for the next 25 days and all content will be Christmas related! I am so hyped for Christmas this year and so is my dad which makes me very happy. 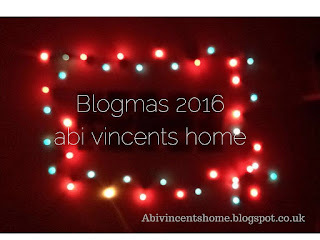 So in this (last minute) post, I am going to share with you 20 Blogmas ideas! Hope you enjoy! 5. What does Christmas mean to you? So there are just some of my ideas for Blogmas. There are some there that I am not doing, for example the Christmas recipes, because I cannot bake aha! So I hope you enjoyed this last minute post for ideas, and hope it's given you some ideas as to what to do for blogmas or even vlogmas!